☂ GREAT PRESENT IDEA: These 2 key chain clips can be great creative and special gift on Valentine’s Day. The words "I pick you always forever""Always with you" indicates your love. ☂ NEVER RUST: The 2 keychains are made of zinc alloy which is resistant to corrosion, hypoallergenic, no distortion and anti-rust. 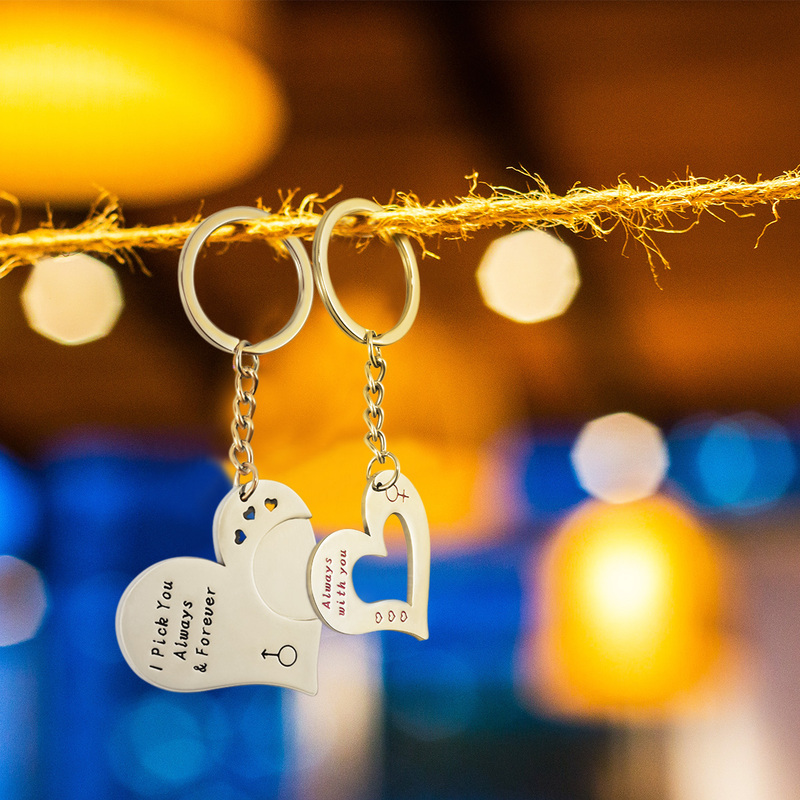 ☂ TOUCHES ELEGANT: The 2 keychains are polished on both sides to make them smooth, shiny and exquisite. When you hold it, you hand feels comfortable. ☂ GUARANTEE: Your satisfaction is our ultimate pursuit. Any quality problems when you got the item, please feel free to contact with us. We will exchange you a new one immediately. 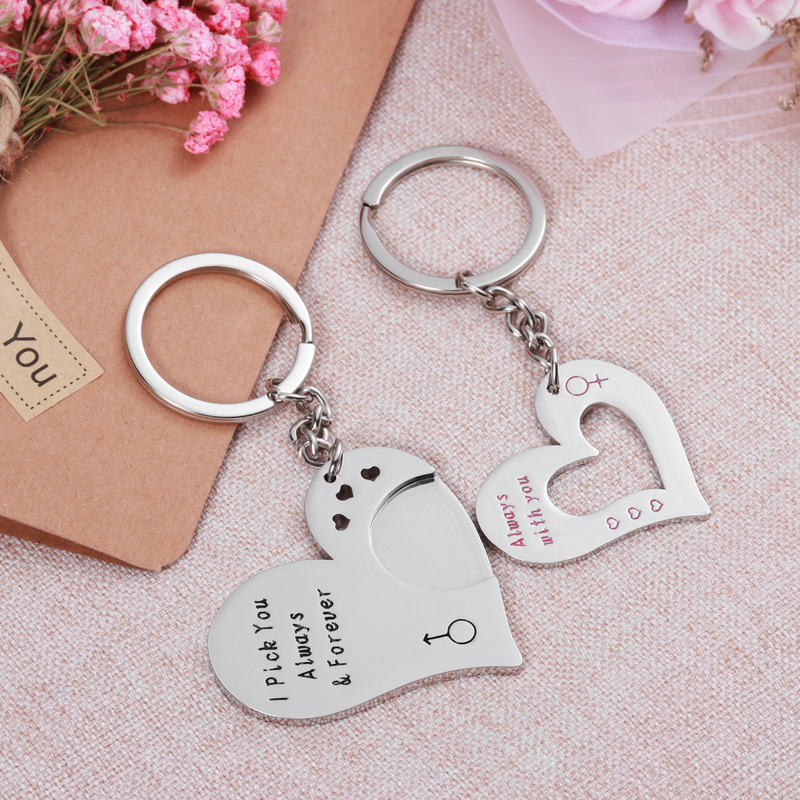 This Couple Key Chain is brand new and comes with a set which contains 2 pieces. A perfect and economic gift for your love ones. Fine metal material make the color looks new, never fade. 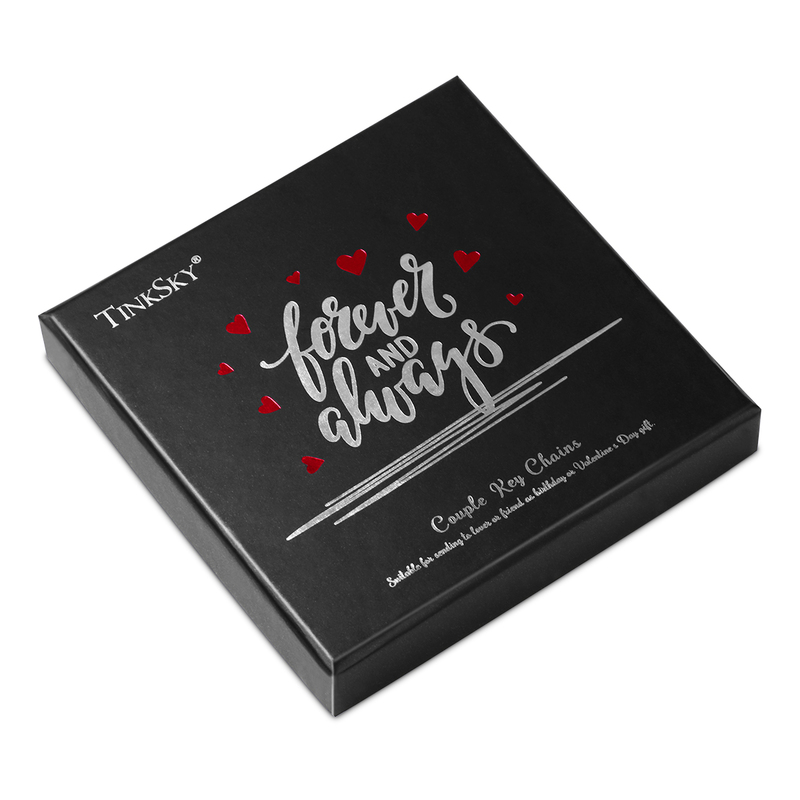 Sweet Gift for Couples, Parents, Newlyweds and romantics. - A perfect and economic gift for your love ones. - Fine metal material make the color looks new, never fade. - Fashion elegant design provide you the most charming look. - A great gift for decorate or connect your keys.